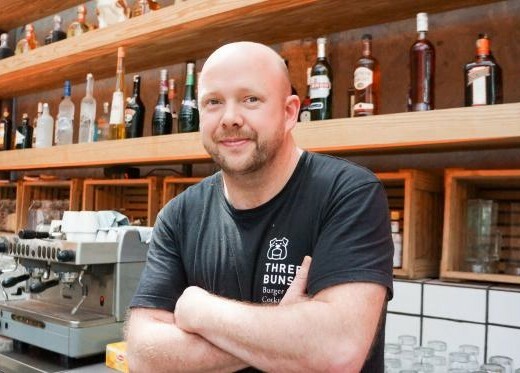 Thai Baàng holds a special place in my heart, for I believe it landed me this job at Eatbook. 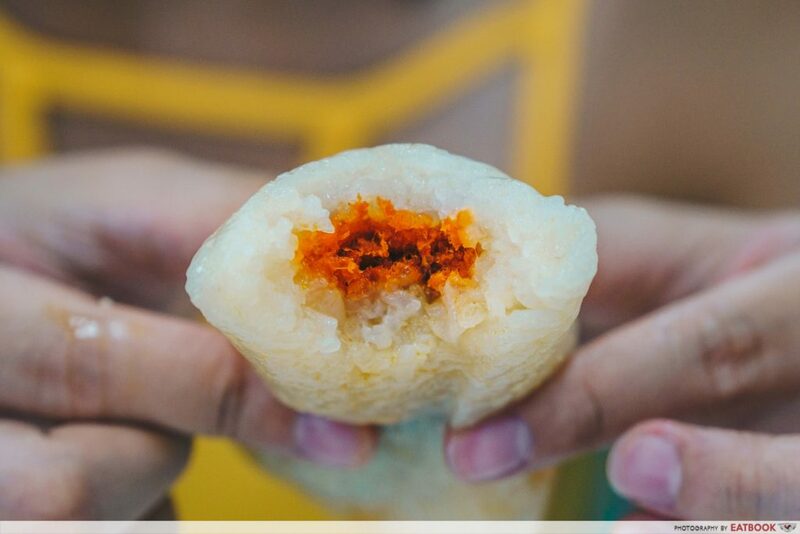 I discovered this humble Thai bakery a day before my interview and managed to impress my interviewers with my knowledge of this hidden gem. Then, this bakery was only a few months old, yet the queue was already snaking out of the shop. A conversation with the friendly owner of this place, Jovi, sparked my interest in this corner shop that sells fluffy stuffed breads and desserts. 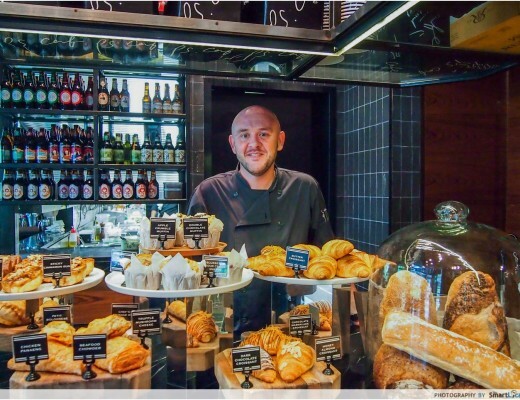 A bread enthusiast, Jovi often walks into bakeries and ends up buying a couple of breads at a time. 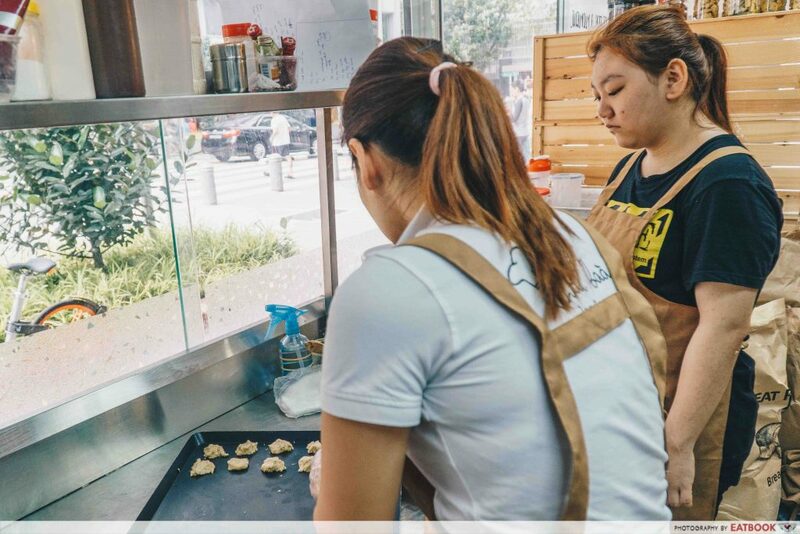 Though the idea of opening her own food stall, more specifically a bakery, hovered over her head, she held on to her stable job in the finance sector for a good 10 years. That changed during one of her trips to Bangkok with her Thai husband. 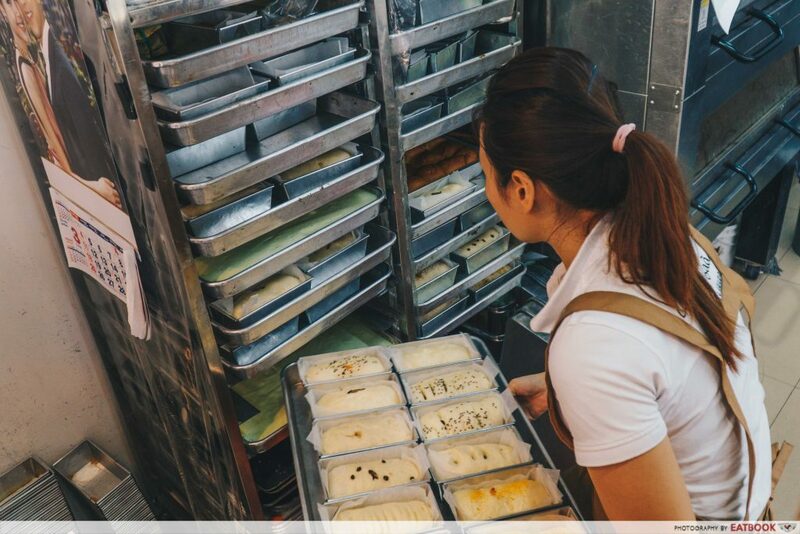 She stumbled upon a street stall selling traditional Thai bread, which gave her the push to give up her comfy job for the risky decision of opening up her own bakery. 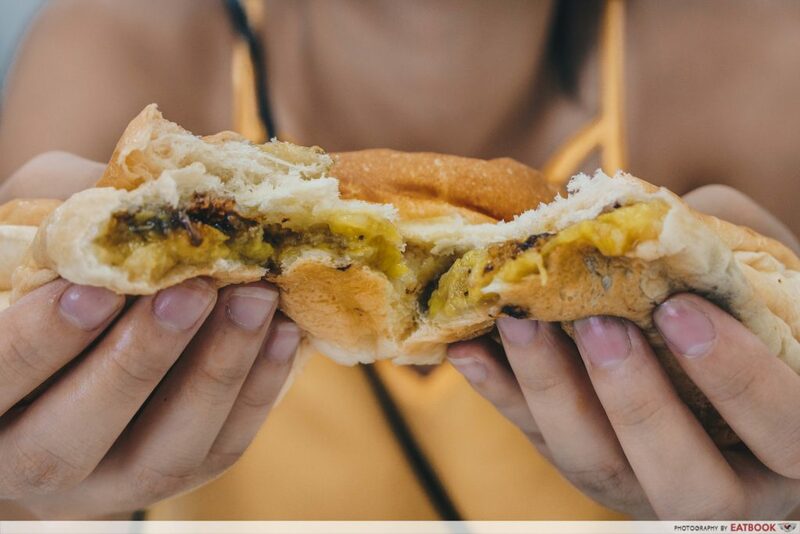 The fluffy, soft Thai bread that she ate rekindled memories of her late grandfather, which brought her a sense of comfort and familiarity. Despite many fears about venturing into the unknown, Jovi eventually set her heart and mind on this new chapter of her life and aims to serve bread that would bring comfort to all. 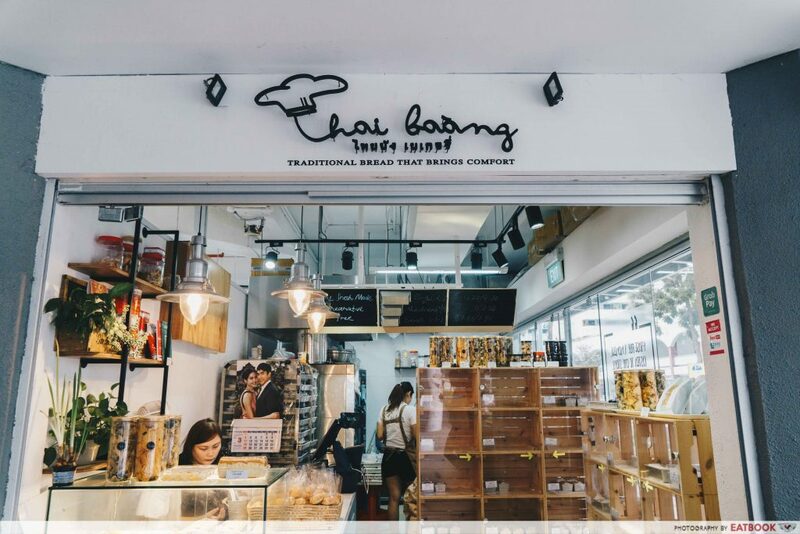 After spending a few months in BKK to pick up the art of making traditional Thai bread, Jovi opened Thai Baàng in mid-2017, and it was welcomed by many. Soon enough, she saw many become regular customers with whom she now enjoys close relationships with. 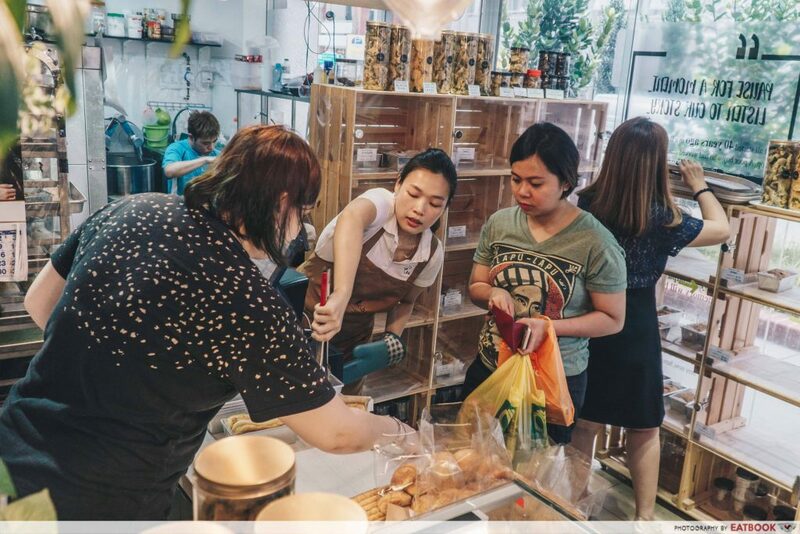 Despite having no knowledge about owning a business, Jovi managed to capture attention with her unique breads and homey store. 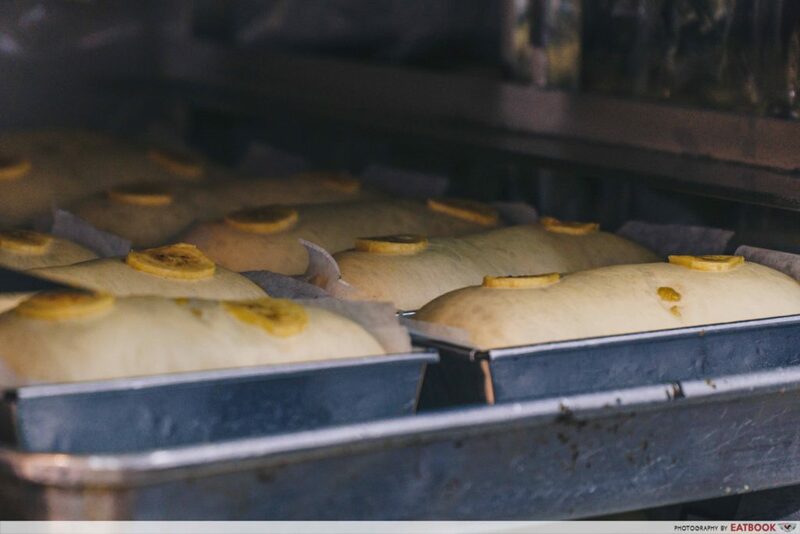 Particular about the quality of bakes that leave her bakery, Jovi typically starts her day in the store at 5:30am, making pastries for the day ahead. She bakes everything from scratch in a small, but comfortable kitchen she has in her store, using fresh ingredients. Though she has transferred her skills to her staff, she continues to come in almost every day to check on them. As the evening came, we watched Jovi’s unassuming shop get busier as the seconds passed. Though she was headlessly running around in the kitchen, she made an effort to pop out every once in a while to greet the customers, thank them, and also ask them for feedback. She even knows some regular customers by name! 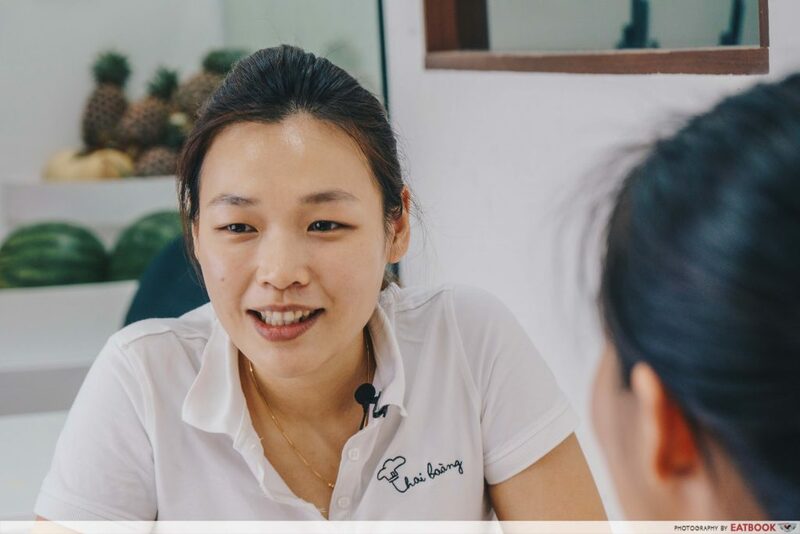 Thai Baàng has come a long way since the start and when we asked Jovi what gave her the courage to start this journey, she mentioned that her husband has been very supportive of her work. Also, the idea of bringing smiles to the faces of customers keeps her going. “You never know if you don’t try” is what one of her husband’s friends told her, and that eliminated all her doubts and pushed her forward. 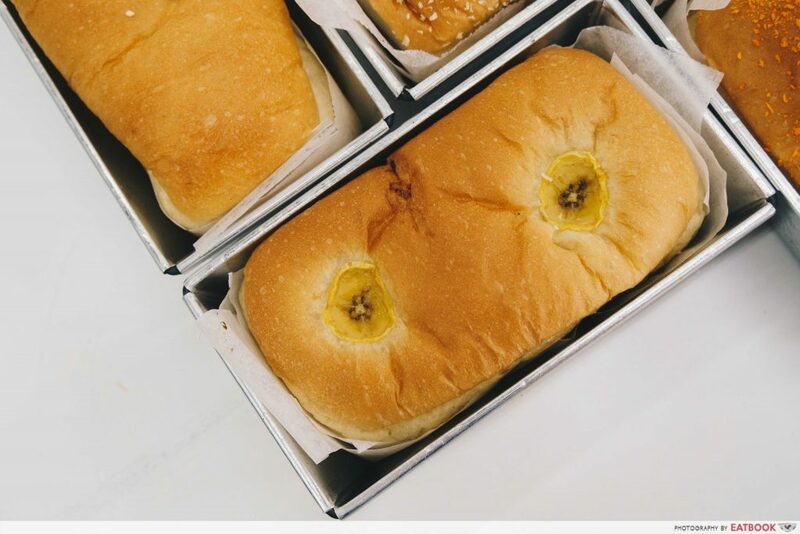 With close to 30 flavours of bread in the shop, we pick two of their best sellers: Banana Chocolate Bread ($1.80/$2.50) and Tomyum Chicken Bread ($1.80/$2.50). The larger sizes that range from $4.50 to $4.70 must be pre-ordered a day in advance. 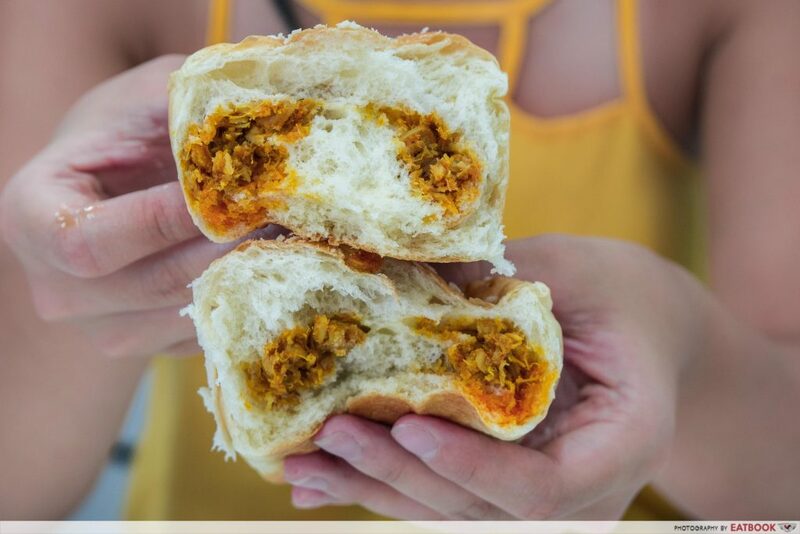 We started this Thai bread feast with the Tomyum Chicken Bread. 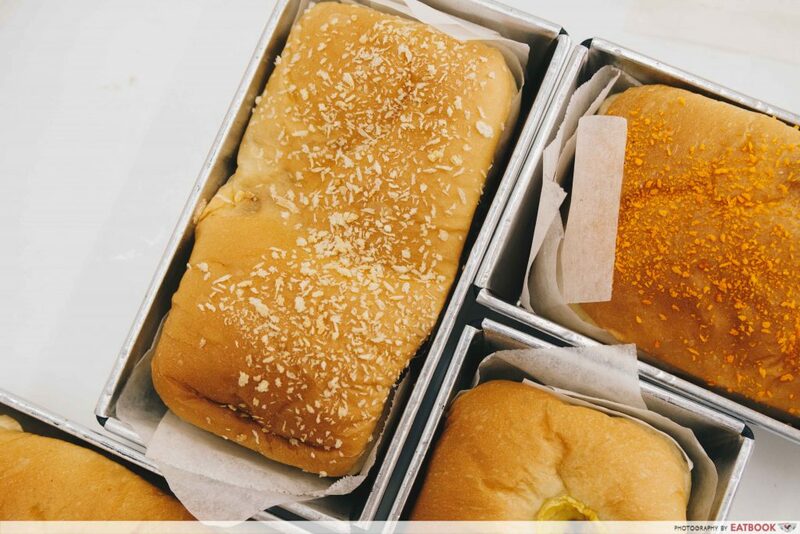 This simple-looking bread is like a treasure box waiting to be opened. Fresh out of the oven, the buns smelled heavenly and I just couldn’t wait to dig in. Biting into this bread was like biting into a cloud. I was so impressed by the flavour of the tomyum; it reminded me of the time I was in BKK with my bestie, sharing a warm bowl of the spicy soup. While I loved the chicken bits that were well-seasoned, I wished there were more to go with the bread. As a fan of both chocolate and banana, I was so excited to tear the Banana Chocolate Bread apart. Boy oh boy was I pleasantly surprised. The dark chocolate and mashed banana complemented each other well without being too sweet. 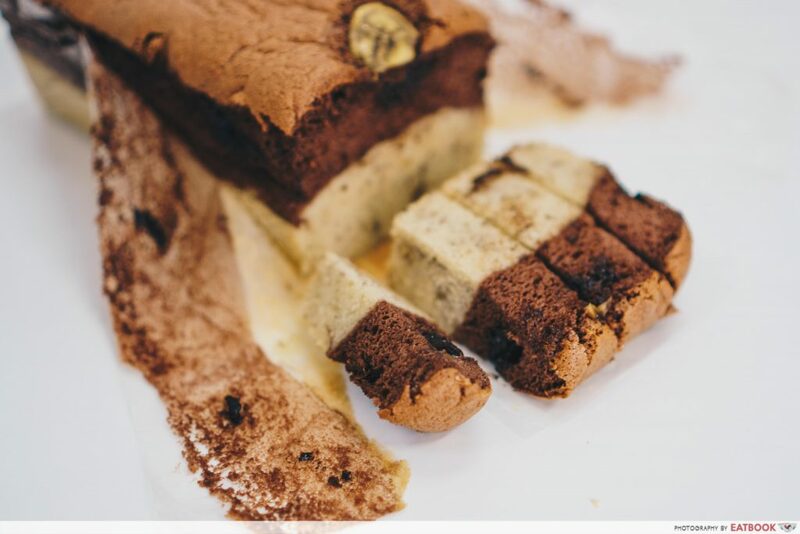 They also sell Chocolate Banana Cake ($6.50) which consists of a layer of chocolate sponge cake laying on a layer of banana cake. The flavours blended well with each other in this moist cake. Thai Baàng also offers a range of savoury snacks and of course we had to try some. After much indecisiveness, we picked the Chilli Shrimp Glutinous Rice ($1.30). Though the hae bi looked underwhelming, it was packed with loads of flavour. Their range of desserts also include Castella Cake ($5) and Banana Glutinous Rice ($1.30) – yum! While more people are stepping out of their comfort zones and embarking on roads less travelled, most are still fearful of taking the first step. Hopefully, this story of how Jovi found the motivation to pursue her passion inspires you to chase your dreams. 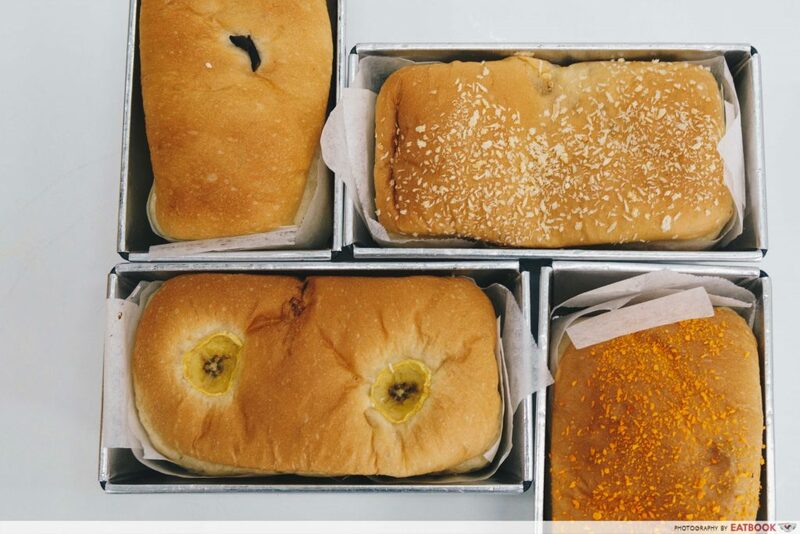 These soft breads will have you hooked at first bite and are totally worth a trip down. Remember to give Jovi a call to reserve your breads as they run out fast! 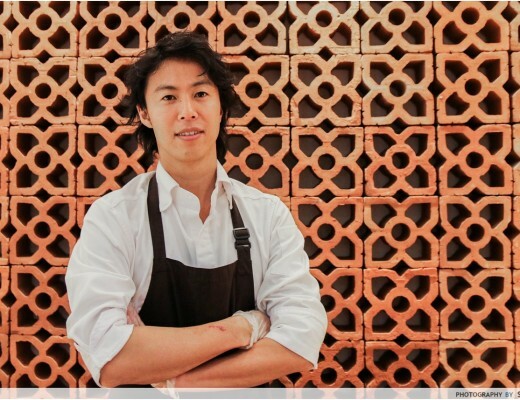 For more inspiring stories, check out our features of Wei Ji Braised Duck and Jia Xiang. 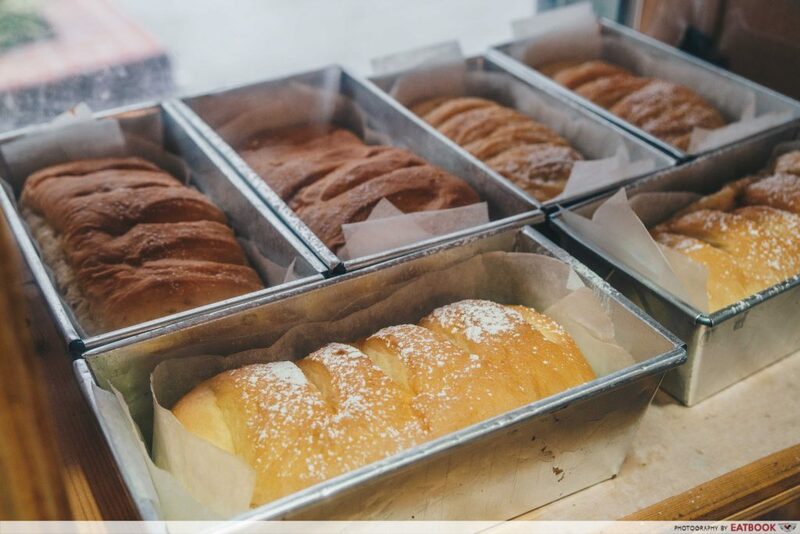 For more delicious pastries, check out our review on Nicher, which serves house-made pound cakes made by an ex-MBS pastry chef. 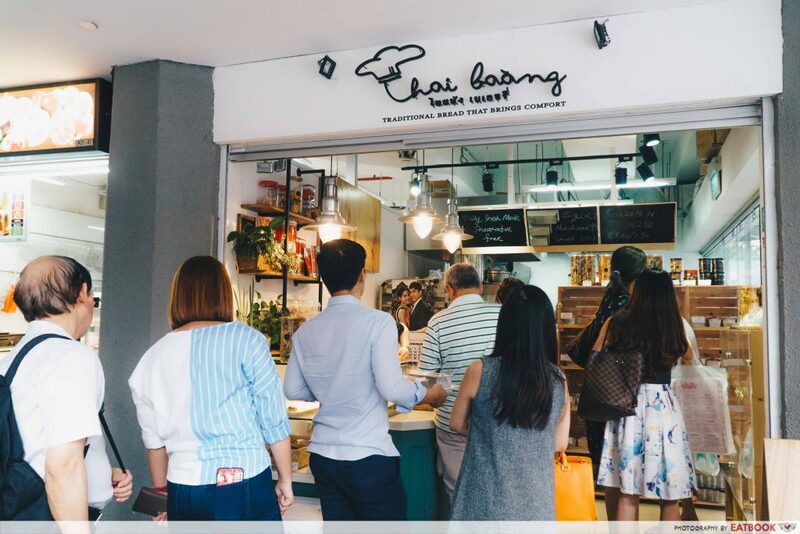 Thai Baàng is not a halal eatery. This is a non-sponsored feature by Eatbook.sg.